Why Balance is Important for Your Mobility | Podiatry Associates, P.C. 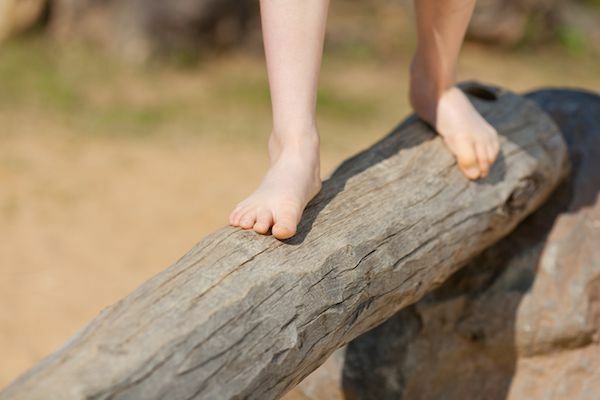 Few things illustrate balance as well as a gymnast on a balance beam does. If you were to stop in at any of the local Parker or Castle Pines gymnastics schools and watch the students, you’d inevitably see some young gymnast learning to master the beam. This challenging tool requires gymnasts to perform tricks on a narrow beam without falling—which obviously requires high levels of balance and physical precision. You don’t have to be cartwheeling on a beam to need good balance, though. It’s actually vital for your normal mobility. Your balance is the sense that keeps you upright when you’re standing or moving around. It’s a complex process that uses your senses to understand your environment, processes this information in your brain, and coordinates in your muscles and joints to respond. You have to be able to tell which direction is upright and understand any changes in the environment around you that may make you fall or struggle to move. You get this through your senses, particularly though sight and touch. Once your brain has processed all of this, it sends messages to your limbs to adjust your position and posture to maintain your balance. Without all the steps in this process, you’d lose a lot of mobility. This makes sense; if you couldn’t sense the ground, you wouldn’t know how to step appropriately to avoid tripping or falling. If you couldn’t coordinate your muscles to adjust and control your limbs when you take a step, you’d have the same problem. Both situations would limit your mobility and prevent you from participating in many activities. The good news is that you can use physical therapy to accommodate and improve some types of balance insufficiencies, or even just make the sense better in general, particularly for sports. Our team at Castle Pines Physical Therapy in Castle Pines, CO, is happy to help. Make an appointment with us online, or by calling (303) 805-5156.